In the words of Langston Hughes, “Life ain’t been no crystal stair,” and despite what I have been through, I still have joy. Even now as I prepare to share my life’s journey, knowing the reading of my obituary means I have transitioned, I still have joy. You see, I know where I have been; I know where I am going; I know what I am leaving; and I know what I am receiving. For that cause, I…STILL…HAVE…JOY! I began preparing for this day a long time ago. Not just my spiritual life but this day in particular. In an attempt to lessen the burden and grief placed upon my family, I began to jot down little by little the events of this day because no one can tell my story like I can. My life’s journey began more than 7 decades ago on December 11, 1946, in Columbia, South Carolina. I am the third of four siblings. My parents, the late Albert and Francena Harris were loving, caring, nurturing and supportive. In 1956, my parents migrated to Philadelphia in the hopes of securing a better way of life for their children. I received my education in the Philadelphia, PA School District. My favorite classes included: English, Arts and Crafts, and Cooking. 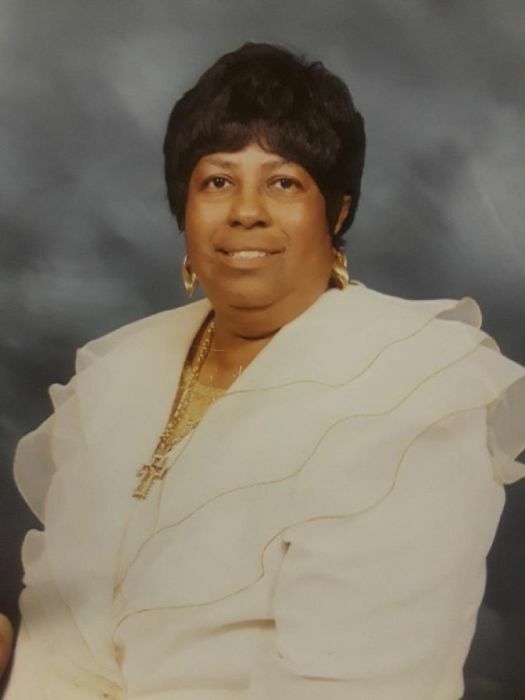 As a child, I grew up in the AME church, where I watched my mother serve faithfully. I was later introduced to the House of God, Keith Dominion and it was there that I received the baptism of the Holy Ghost in 1969, and one year later I was called into the ministry. I have worked long and hard in this church. I have given my life not only in words but in deeds, in time, and in finances. I have held many positions: Usher, Choir Director, Sunday Bible School Superintendent, and Secretary. I have served as Assistant Pastor in Cayce, SC, and in Philadelphia, PA. I served at 6th and Mercy, and 9th and Clearfield. I was blessed to Pastor my first church in Columbia, South Carolina, in 1973. I also helped set-up a church in Morton, Mississippi, where I served as an Assistant Pastor for 10 years. In 1962, I met this tall, dark, and handsome man with a bewitching smile. From day one, I fell in love with the way he carried himself. He was very different from the other guys. I would go out of my way to make certain he noticed me. Once he did, I began to play hard to get. I refused to swoon over him as so many of the other young ladies would. This peeked his curiosity and heightened his interest because this was something new to him. He soon asked about dating, and three years later, he asked about marriage. Although it was not the most romantic proposal, one evening while returning home from a date, he turned toward me abruptly and said, “do you wanna marry me? I’m not going to ask you again.” At that moment I realized just how serious he was, and I could not take the risk of him not asking me again. I excitedly replied, “yes, yes I do want to marry you!” In 2009, he was called home to be with the Lord. We shared a love of 45 years. Biologically, my body has given birth to 9, and my soul to 2. However, emotionally, my heart has given birth to soooo many more. I have always had a special love for children. My grands, great-grands, and great-great-grand will forever be the loves of my life. My heart and my home have always been large enough to care for more children than I physically birthed. I can still vividly remember the first foster child being placed in my home in 1972, and since then my home has been home to more than 28 children. Not only has my home served as a place of refuge for foster children, but I have also opened my doors to family members. On more than one occasion the welcome mat was rolled out to the homeless, providing shelter, love, safety, and God’s word to both the young and old until they were able to get on their feet. “O for a faith that will not shrink though pressed by many a foe, that will not tremble on the brink of any earthly woe.” This is the type of faith I had to hold fast to when I was diagnosed with cancer in 1991. I promised God, if you heal me, I will tell it everywhere I go. This is the faith I held firm to when cancer showed its ugly head again in 2000. I cried out to God saying, “Lord I want to know, are you really healing me?” God answered me in a way that I would clearly understand. I never lost any hair, I didn’t lose any weight, in fact I went from weighing 165 pounds to weighing 204 pounds. This is the faith that took me through when the doctors advised I abort my youngest child because of life threatening complications. I was placed on bed rest for the entire 9 months. During delivery, I went into a semi-coma and gave birth to my son while calling on the name of Jesus. Yes, this is the faith that shines more bright and clear when tempests rage without, that when in danger knows no fear, in darkness feels no doubt. Time to get it together and be a family and not divided. A family that prays together, stays together. I won’t say don’t cry, because tears are inevitable. I will say live the life, so we can meet again. Young people, get in church and stay. It is dangerous to come and go taking such chances anything could happen. He (Jesus) is on his way back. Signs of the time are happening all around us. He is on his way back and it is serious. You can live holy, but you MUST WANT TO. My children, Rhoda, Shirley, Acorne, Jr (Rosa Lee), Barbara, Alvetta, Cecily (Eddie), Brenda, Kiy, Walter (Fraye), Ramona (who preceded me in death) (Richard), and my baby boy, Lawrence; my 36 grandchildren; 28 great-grandchildren; and my only great-great-grandchild; my 5 god-children; my brothers, Raymond Harris (Emily); Albert Harris III (who went home before I could get there); and my only sister, Mary Davis (who gained her crown just a few days ago); and a host of loving family and friends. I’ll see you on the other side.